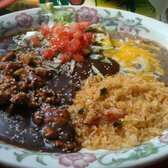 Posted on September 25, 2014 by anayasblog Posted in Coupons, Menu, Mexican Food	. 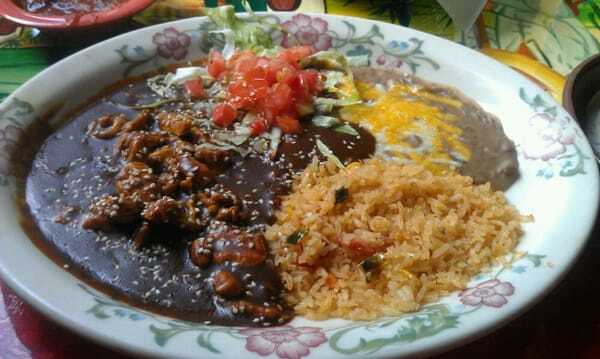 Tags: Authentic Mexican food, Free mexican food, Mexican food by Banner hospital, Mexican food discounts, Mexican Food Glendale, Mexican food near 59th ave, Mexican food near Thunderbird rd, Mexican food peoria, Mexican Food Phoenix, Mexican food VIP card, Real Arizona Mexican food, The best Mexican food in Glendale arizona	. Anaya’s New Menu is Here! Posted on December 21, 2013 by anayasblog Posted in Anaya's Events, Information, Menu, Mexican Food	. Check out our new menu. We have upgraded the look of our menu and made a few changes in the menu items. Take a look and tell us what you think. Our Mexican food is always prepared with love and of course with the freshest and best ingredients available. 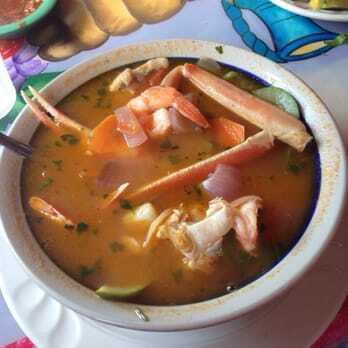 Tags: Anayas fresh mexican food restaurant, Best Mexican food in Glendale, Best Mexican food in Phoenix, Mexican food, Mexican food and mariscos, Mexican Food Phoenix	. Anaya’s passes the health inspection with flying colors. Posted on July 26, 2013 by anayasblog Posted in Anaya's Events, glendale, Information	. Today Maricopa County Health inspectors concluded their regularly scheduled health inspection at Anaya’s Fresh Mexican restaurant. The restaurant received an A and remains in compliance with all county health codes and standards. Health inspection passed with an A. Our high standards don’t just stop at service, quality ingredients, or delicious Mexican food , we also run a very clean kitchen. Anaya’s customers can rely on us to make sure everything we serve to them is of the highest standard. We pride ourselves on having the best finished product to serve to our customers and having a clean kitchen is just one part. Serving good quality Mexican food to the good people of Glendale and the Phoenix area is what we will continue to provide for years to come. Posted on July 15, 2013 by anayasblog Posted in Information, Mexican Food	. Most Mexican food found outside of Mexico is limited, generally based on the food of far northern Mexico and the Southwest U.S. Nachos, burritos, fajitas, chili con carne and chimichangas are U.S. inventions for the most part. However, with the growing ethnic Mexican population in the United States, more authentic Mexican food is appearing slowly in the US. One reason is that Mexican immigrants use food as a means of combating homesickness, and for their descendants, it is a symbol of ethnicity. Alternatively, with more Americans experiencing Mexican food in Mexico, there is a growing demand for more authentic flavors. Anaya’s combines the traditional Mexican flavors with Northern Mexico flavors. In Arizona most of the traditional Mexican restaurants have incorporated the Northern or as I like to call it, the Sonoran style Mexican flavors with some of the Gringo creations and flavors like chimichangas, burritos, and machaca. Anaya’s has a very unique style and process for cooking. We like to prepare our food as if we were serving it to our family at our home. Home cooked authentic style Mexican food, with traditional and non-traditional favorites, are part of the large selection of food on our menu. So, come on in and see how our family likes to eat Mexican food. 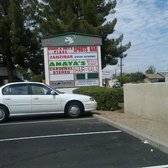 Posted on April 25, 2013 by anayasblog Posted in Anaya's Events, glendale, Information, Menu, Mexican Food	. Anaya’s has a wonderful Cinco De Mayo planned for you. We have a special menu along with our regular menu, plus specials on drinks and food. A Dj will be here playing music for you to enjoy. The Corona Girls will be dropping by. We have door prizes and gifts to give away. This is an event you should not miss. 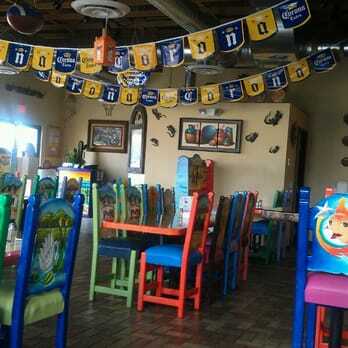 Come have breakfast, lunch or dinner with us at Anaya’s and join the Cinco De Mayo festivities. Posted on April 19, 2013 by anayasblog Posted in Anaya's Events, glendale, Information	. Happy Cinco de Mayo from ANAYA’S FRESH MEXICAN RESTAURANT! With Cinco de Mayo around the corner, we wanted to get you geared up for everything that will be happening at Anaya’s. We also want to make sure you know that Anaya’s is the best place to celebrate. Not only will we be giving away prizes, we will also be having great deals on AMAZING food. The corona model will be in with giveaways for the entire family. While others will only be celebrating on Sunday May 5th, you can expect the party to go on longer at Anaya’s. We will actually be having great savings on both Saturday May 4th through Sunday May 5th. Mother’s Day is Sunday May 12th! Let us help you have a wonderful time on Mother’s Day! -More details to Come, but you can expect us to start a new tradition with “Mariachi Mother’s Day”. Cinco de Mayo is right around the corner, but so is Mother’s day; we expect to have lots of company on these dates so feel free to call us up to make reservations for parties greater than 10 otherwise, we will do our very best, as always, to accomodate your party.